Gross profit margins on mining Bitcoin and Ethereum have fallen to 30% and 15% respectively. Never the less Bitcoin will not enter a “death spiral” as some critics have proposed. Enough miners are incentivized to stay in the market as the difficulty falls. The rumor that Goldman Sachs’ crypto trading desk was cancelled is “fake news.” Not only is Goldman launching a trading desk, they are also working on a digital asset custody solution. Due to the recent high volatility in the crypto markets demand for stable coins has increased. Various interesting projects are being worked on right now. Crypto-winter is in full swing. In the background, the major players are working on the infrastructure while the authorities are clearing up the debris of the ICO hype. About ten years after the publication of the famous white paper by Satoshi Nakamoto, almost everything has been said about Bitcoin’s anniversary. Therefore, our greetings do not go to the mysterious inventor or inventors of the cryptocurrency, but to Alicia Florrick. The likeable (and fictional) lawyer from the CBS hit series "The Good Wife" had already dealt with a Bitcoin case in 2012. It was probably the very first Bitcoin reference in a mainstream television show. The scriptwriters deserve praise. Not only because they made Bitcoin an issue when the cryptocurrency was worth just three dollars apiece. But also, because they could explain this new innovation within a few minutes. The viewers were not only entertained, but also well informed when Alicia’s teenage children taught her about Bitcoin step by step. Something that others have often failed to replicate when it comes to Bitcoin. When the Simpsons mentioned Bitcoin a year later, it was – of course – in the way of a joke (S25E07). The protagonist in this case was Krusty the Clown. Lisa Simpson asked Krusty if he was broke, and he answered: "Yeah, all it takes is some bad luck at the ponies, worse luck in the bitcoin market, and heavy investment in a high-end bookmark company." This rather depressive perspective fits in well with Bitcoin’s past anniversary year. As far as prices were concerned, 2018 was virtually the opposite of 2017. After the euphoria came disillusionment. After the boom came the bust. $20,000 was followed by $10,000. Then the $6,000 mark was held for a long time. Until the end of November. Then it went rapidly down – triggered by a dispute in the Bitcoin Cash Community. Bitcoin slipped into the $3,000 area. The media published obituaries. Like so many times before. Explanations of what Bitcoin actually is are no longer necessary. Bitcoin has actually arrived in the mainstream. It was a long way. The colleagues from "Breaker Magazine" have compiled a whole list of Bitcoin references in pop culture from the past ten years. They ask, "What does Bitcoin in the mainstream actually mean?” Is it about the price? Is it about using the cryptocurrency in the coffee house? Or is it about fame? We also ask ourselves these questions. Since Bitcoin was first mentioned in "The Good Wife", the price has risen by more than 10,000 percent. The first ten years of the cryptocurrency are actually an incredible success story. But all this does not seem to interest anyone after the depressing year 2018. Bitcoin had to celebrate his birthday with a tear in his eye. Recently, there has even been debate about a death spiral. Some argue that miners will simply stop their activities if the price falls below the cost of production. "Once Bitcoin’s price falls below its cost of mining, the incentive to mine will deteriorate, thrusting bitcoin into a death spiral. That is, without the mining activities supporting the ledger that maintains the records of who owns what — bitcoin is, after all, a set of encrypted numbers that cannot establish the ownership of anything — bitcoin will become worthless." "If the miners wait until the difficulty retargets and the difficulty becomes less, then each miner who waits makes more profit because in the new scheme they have a greater percentage of the mining power than they did before." In addition, one must consider: Mining costs are not the same everywhere, each miner has his or her own calculations. Some might even be able to temporarily mine at a loss. And if all else fails, there is still the option of a hard fork, which would allow the immediate adjustment of the difficulty. That would be the last resort. Of course, this does not mean that all miners did survive the fall in prices unscathed. The situation is quite dramatic. Bitcoin miners are used to huge gross profit margins of up to 50 percent. Since the fall in prices, the situation has become tougher, as BitMEX has calculated. Currently, profit margins are only 30 percent for Bitcoin and 15 percent for Ethereum. There are also a number of mining companies that have misjudged the situation and already went bankrupt. The cleansing of the market during the price decline does not only apply to crypto projects, but also to the mining sector. 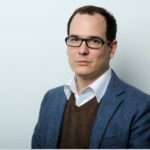 The CIO of BlockTower Capital, Ari Paul, explained on Episode 95 of Laura Shin’s Unchained podcast that mining as an industry is not profitable because miners compete with each other in a zero-sum game. And when it comes to Bitcoin as a currency, things look even grimmer. Around Bitcoin’s 10th birthday in October, plenty of experts lampooned Bitcoin’s irrelevance as a means of payment. "In 2018, cryptocurrencies in general have sharply limited relevance, if any, to the way that money is moved around the world. Bitcoin is an undoubtedly valuable commodity and is by far the highest-profile and most important of the cryptocurrencies, but it is not actually a currency in any real sense. It is used for some payments, mostly peer-to-peer, between parties for whom the anonymity of Bitcoin is important, or between the remaining true believers in the global potential of the system." But that’s a very one-dimensional view of Bitcoin – and Murrant knows it too. He follows up: "Bitcoin is far more like gold than it is like money – it is a store of value, considered precious due to its rarity, and traded among investors to profit from changes in its perceived value over time." Bitcoin has therefore created its own asset class: crypto. The fact that a bubble burst at the beginning of the year cannot be denied. Air is still escaping. In our very first report in December 2017, we warned of the ICO boom and its consequences. In the March issue of this year we wrote an article entitled "Is there a crypto winter threatening us?” Currently, the northern hemisphere is not only in a meteorological winter, but globally we are seeing the second deepest crypto-winter after the bear market of 2014 and 2015. This adjustment may have run its course, although that’s too early to call. .
From an economic point of view, this is positive: after a bubble, only a crash can lay the foundation for new, sustainable growth. Unfortunately, however, crypto, which Morgan Stanley now also sees as an "institutional asset class", is so young that we have little experience of how long such an adjustment could take. We can only wait and see how the big players position themselves for the next phase. And, as we have been documenting regularly for more than a year, there is a hell of a lot going on. The second sector, where Bitcoin and blockchain have undoubtedly innovated, is payment traffic and the area of currencies in general. Not necessarily because Bitcoin has asserted itself as a means of payment. We know that didn’t happen. The real breakthrough is mainstream acceptance of digital currencies per se and "private" digital currencies in general. So much is happening here that even the central banks can no longer just idly watch. In a digital world, cryptocurrencies, and privately issued stablecoins in particular, offer an alternative to the Euro, Dollar or Pound. Bitcoin has also significantly influenced a third sector: cybercrime. Unfortunately, Bitcoin’s second appearance on "The Good Wife" in 2013 was already about a ransomware extortion. The good news: Supervisory authorities are cracking down on fraud in crypto. From our point of view, this is very positive for the sector. 2018 may have been depressing in terms of prices, but this leads to an automatic market cleansing, and it gives the cops time to hunt scammers. The SEC even punished celebrities for advertising scamcoins for the first time. More about that later. As Michael Novogratz, one of the best-known crypto investors, puts it: "One thing you learn in this process is that everything takes a little longer than you hoped it would." We won’t see the $10,000 mark again this year, the Bitcoin bull recently said. His company, Galaxy Digital Holdings, has already posted more than $150 million in losses this year. But Novogratz, one of Wall Street’s best-known Bitcoin supporters, won’t give up. On the contrary: Novogratz, himself a former Goldman Sachs partner, recently invested in BitGo Holdings – together with the investment bank. Goldman and Galaxy Digital Ventures hope that the start-up will provide a solution to the still unsolved problem of custodianship of cryptoassets. US regulators require money managers to store assets in so-called "qualified custodians". The traditional players in this sector have so far stayed away from the crypto market for fear of hackers and the legal uncertainty that still prevails.
" If you were investing in any other asset class, you’re probably not worried about the asset just disappearing – but this one, people still have that fear," said Mike Belshe, BitGo’s co-founder and CEO in an interview with Bloomberg. His company has now collected around $70 million through fundraising. The Palo Alto-based company was founded in 2013 and offers digital wallets that require multiple signatures for transactions. Offline safes for Bitcoin and other currencies are also available. The company currently manages 75 different cryptoassets and a total volume of around $2 billion dollars. But the entry of Novogratz and Goldman could take BitGo to a whole new level. Goldman is certainly one of the most courageous banks on Wall Street when it comes to Bitcoin. "We believe that a custody offering is a logical precursor to digital asset market making," said Goldman spokesman Michael DuVally. Reports that Goldman has cancelled its plans for its own crypto trading desk in view of the price drop have led the bank to deny this as "fake news". Allegedly Goldman is also working on their own solution for Bitcoin custodianship. One thing is certain: as long as these questions have not been clarified, the crypto market will remain closed both to the "normal" retail investor and to almost all institutional investors. In this issue we dedicate an entire chapter to safe custody solutions that already exist or are going live soon. Another important player who wants to compete against Goldman in this area is Fidelity Investments. The company, which manages $7.2 trillion in customer funds in its traditional business, established its own crypto subsidiary in October. Under the name Fidelity Digital Asset Services, customers will be able to trade Bitcoin on various stock exchanges at the best prices. Cold storage, i.e. safe storage without an internet connection, could be part of the package right from the start. "If you look at the existing market infrastructure, it’s heavily skewed toward the needs of retail investors and early adopters of the space. The time is quite good for this announcement. We’ve seen a real acceleration of demand over the last couple months." Fidelity has been experimenting with Bitcoin since 2014, and they have even mined hundreds of Bitcoins. In the Fidelity canteen you can now pay with Bitcoin. "The question is, how do we stay ahead of the competition? How do we innovate and bring new products onto the platform," asks Jessop. It is by no means the case that all institutional investors are merely sitting on the sidelines and waiting. In fact, institutional investors may have replaced high net worth individuals as the largest buyers of cryptocurrencies. These trades usually take place directly between investors and large miners or people with large Bitcoin fortunes. According to current estimates, this over-the-counter (OTC) market sees a daily volume of $250 million to $30 billion dollars. For comparison: According to "coinmarketcap.com", cryptoassets worth around $15 billion are traded daily on the exchanges. Some of the stock exchanges listed there are however not considered to be very reputable and their figures should be viewed with skepticism. At the University of Liechtenstein, a comprehensive analysis is currently being carried out on this subject, which deals with the actual market depth of the asset class. The results of the study will certainly be a topic in one of our next issues. There is no doubt that the OTC market has also suffered from the price decline. Nevertheless, growth can be observed here, says Jeremy Allair, CEO of Circle Internet Financial in Boston: "We’ve seen triple-digit growth enrolling in our OTC business. That’s a big growth area." This growth is likely to continue as long as institutional investors enter the market. Because they often need more coins than are offered on the exchanges. Or they are afraid of moving the price too far by buying or selling big amounts. That’s why they look for trading partners. None of this is hidden from the big Wall Street banks. We’ve heard about Goldman and Fidelity. But it looks like Fear of Loss (FOL) is quickly transitioning to Fear of Missing Out (FOMO). Morgan Stanley, Citigroup and Bank of America Merrill Lynch are also reportedly working on their own Bitcoin products to meet customer demand. Russia’s Gazprombank is also venturing into the market via a subsidiary in Switzerland. And then there are the big US universities that manage their income and donations in endowments. 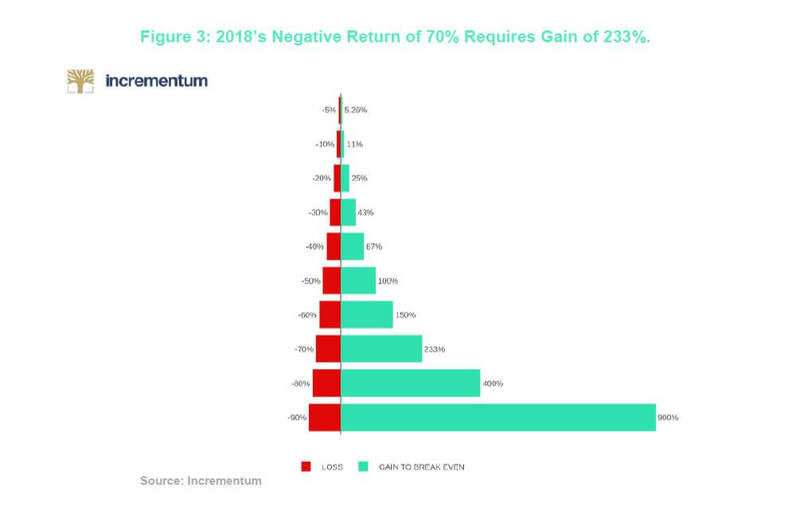 96 percent of university money managers still say they don’t want to touch the crypto market. But some of the big names like Harvard, Stanford and MIT are already in business. The same goes for Yale. The elite school recently invested in the Paradigm Fund, which was launched by former employees of Coinbase, Sequoia Capital and the Pantera Capital crypto fund. A total of around $400 million is invested in this fund. However, it is not known how much of this comes from Yale’s $30-billion-dollar purse. But the step is significant, because Yale’s money is managed by David Swensen. Swensen is considered a pioneer among institutional investors and has managed some of the best performing college endowments over the past decades. He focuses on long time horizons and often on markets with low liquidity assets. Many other universities try to imitate him. Under Swensen, Yale has seen a return of almost 12 percent annually – over the past 20 years. In total, more than $500 billion dollars are invested in the funds of US colleges. Two important players have recently underlined their interest in the crypto market but have adjusted their schedule to the new pricing conditions. Bakkt, the crypto platform of Intercontinental Exchange (ICE), has postponed the launch of its own Bitcoin futures until the end of January. "As is often true with product launches, there are new processes, risks and mitigates to test and re-test, and in the case of crypto, a new asset class to which these resources are being applied", said Bakkt CEO Kelly Loeffler. The partnerships between ICE, mother of the New York Stock Exchange, and Starbucks as well as Microsoft are still up to date – but there are no new details. Nasdaq also intends to stick to its plan to enter the market with futures contracts. Starting date is the first quarter of 2019, but talks are still underway with the US regulatory authority CFTC. Nothing is set in stone. Another way to enter crypto is to become active in business yourself or to buy up other companies. We have already mentioned several times that the market crash of the past months can be good for Bitcoin – because dubious projects become unprofitable as a result and perhaps even disappear. At the same time, the sector is being consolidated and the financially strong companies are going on a shopping spree. By October, the number of mergers and acquisitions (M&As) in the crypto sector had already risen by more than 200 percent – compared to the previous year. At least 30 deals are still open. The crypto industry is global and so far, appropriately, without a real financial center. One of the biggest and most interesting deals, therefore, did not take place in the USA, but in Europe. The Belgian investment company NXMH has just bought the Bitstamp stock exchange – and paid cash for it. The purchase price was not stated. Two years ago, Bitstamp, the largest cryptocurrency exchange in the European Union, was valued at around $60 million. It can be assumed that the valuation for the sale was significantly higher after the 2017 boom. Bitstamp has more than three million registered users and a daily trading volume of $100 million dollars. For the two founders, Nejc Kodrič and Damian Merlak, the deal was definitely successful. They founded Bitstamp in Slovenia in August 2011 – in a garage. Their starting capital: A server, a few laptops and a thousand euros in cash. Today, Bitstamp is registered in Luxembourg. It is supposed to stay that way after the deal. Two more anecdotes from Europe, this time from the German-speaking area, which is very close to us. We know from past reports that Switzerland is actively trying to attract Blockchain and Bitcoin companies. As we reported in detail in our October issue, the government of Liechtenstein is planning its own law, which is already being praised by many as exemplary. But even the giant Germany is by no means inactive. The hipster capital Berlin has a lively crypto scene. Now there is an advance from the party of chancellor Angela Merkel. The CDU wants to make Germany the number one ICO country and a "blockchain financial centre". Austria has another way of doing things. In Austria, ICOs are supposed to be carried out with legal certainty soon. A working group is to present results by the end of the year – then there will be a new law. But a lot is already happening on a small scale. The Graz-based company Coinfinity and the privately-owned Austrian state printing company have developed a solution for physical, offline storage of Bitcoin private keys. This is called “Chainlock” – and is the solution to the custodian problem, so to speak, but more for private individuals than for institutional investors. And the Viennese law firm Stadler & Völkel has succeeded in getting a capital market prospectus for a Security Token Offering (STO) approved by the supervisory authority for the first time. An STO can be understood as a further development of the ICO. Like share owners, holders of security tokens also have securitized rights and are not solely dependent on the price development of a purchased token – as was the case with ICOs. In return, the security tokens are subject to the same rules as other securities. For this reason, Austria requires approval from the Financial Market Authority (FMA) before such a token can be sold. The security token of Hydrominer, whose prospectus has just been approved, is expected to be available to investors in February 2019. After just learning a new abbreviation (STO) we now present another one: CBDC. Central Bank Digital Currency. The subject is getting hotter every day. Although to this day it’s not even clear what we’re actually talking about. The media likes to pretend that the central banks experimenting with digital money are developing their own "cryptocurrencies" like Bitcoin. But it’s not that simple. For them, the blockchain is a vehicle to create a digital equivalent for cash. Nouriel Roubini, the notorious Bitcoin hater, is firmly convinced that the CBDC of the future will kill Bitcoin. Because no one would accept anarchy-money if they could have state money, he reasons. However, Roubini overlooks the fact that Bitcoin has something that digital central bank currencies can never have: its deflationary character as discussed in depth in the interview with Saifedean Ammous contained in this edition of the report. It is extremely unlikely for a central bank to ever issue a currency that tends to appreciate. In the event of over-indebtedness, the expansion of the money supply is often used as a form of concealed state financing. What can no longer be completely ruled out today is the "denationalization of money" as demanded and predicted by Friedrich August Hayek. He envisioned that commercial banks will come into the market as money producers. That is still possible. As far as private money is concerned, we are at the very beginning, but the most important steps have been taken. Christine Lagarde, the influential head of the International Monetary Fund (IMF), has become aware of the issue. Central banks around the world need to be more open to new technologies, she said recently in Singapore. "I think we should consider issuing a digital currency. There must be a role for the state to provide the digital economy with money.” She speaks of a "counterweight" for private currencies and thus shows that even the high priests of money now consider the existence of Bitcoin to be a given. Lagarde, like Hayek, also wants to involve the banks. But them printing their own money is not part of the plan. Lagarde sees CBDC primarily as a substitute for cash: "A digital currency could bring advantages as a last resort for payments. And it could drive competition forward because it offers an efficient alternative at a low price – just like its grandfather, the old, reliable paper money." But the complete anonymity of cash would then be gone. "All in all, it is still too early to assess the benefits of CBDC. Central banks should take into account the specific circumstances in their respective countries, pay cautious attention to risks and the benefits of other solutions. It needs further analysis and studies of technical feasibility and costs." It should be noted at this point that central banks are notoriously slow when it comes to technical innovations. The plans for CBDC are by no means mature. One thing is certain: we are not talking about digital money as we already know it. An account balance is ultimately a claim to the bank. CBDCs must be currencies with no counterparty risk – as with Bitcoin or gold. Even if the true motivation of central banks and the IMF is the preservation of the money monopoly, the efforts to obtain their own digital money ultimately indirectly legitimize private alternatives such as Bitcoin conceptually. It should come as no surprise to anyone that Sweden is the country where plans for a CBDC are the most advanced. Sweden is regarded as the test tube of a cashless society and is now reaching the limits of what is feasible. There have long been protests by citizens against the abolition of cash, which has been pushed mainly by banks. This is one of the reasons why the central bank launched the E-Krona project and is currently investigating the various technical possibilities for introducing an electronic Krona. The Riksbank, the Swedish central bank, has now called on the government to create the necessary legal framework for a possible introduction of an E-Krona. "If the marginalisation of cash continues, a digital krona, an e‐krona, could ensure that the general public still has access to a state-guaranteed means of payment", the Riksbank said. 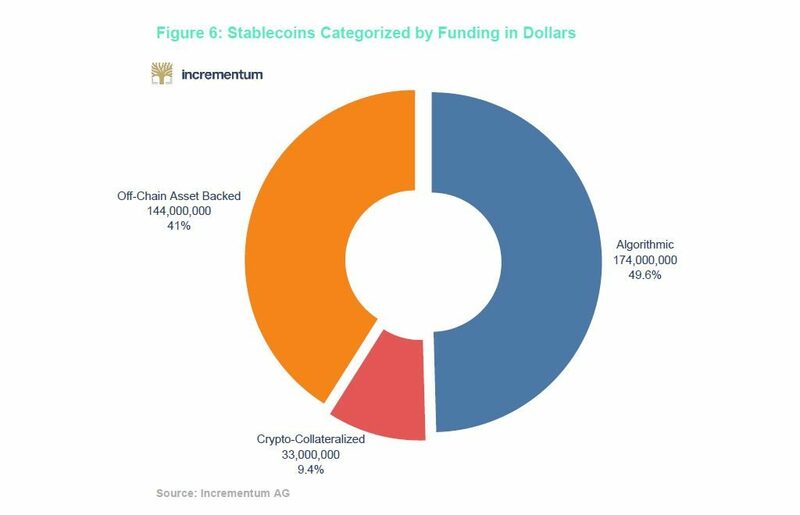 2019 will see the rise and expansion of private stablecoins. Joining Tether is also the Gemini Dollar, TrueUSD and Paxos. And of course, USDCoin, which is backed by no one other than Circle, in which Goldman Sachs is also invested. USDCoin is now even used and offered by the Bitcoin giant Coinbase. 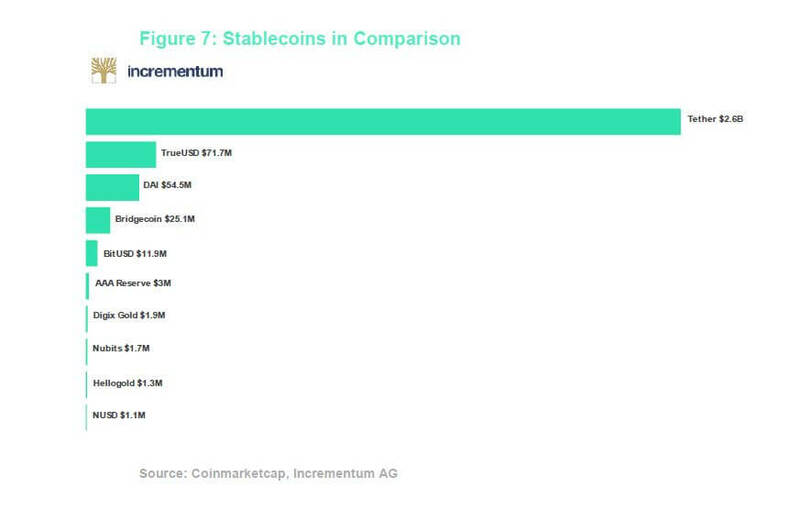 Currently there are more than 50 such stablecoins. Some of them are not even tied to an existing national currency – but most of them are. During falling Bitcoin prices, investors can save their digital money in a USD stablecoin and wait until the market calms down. 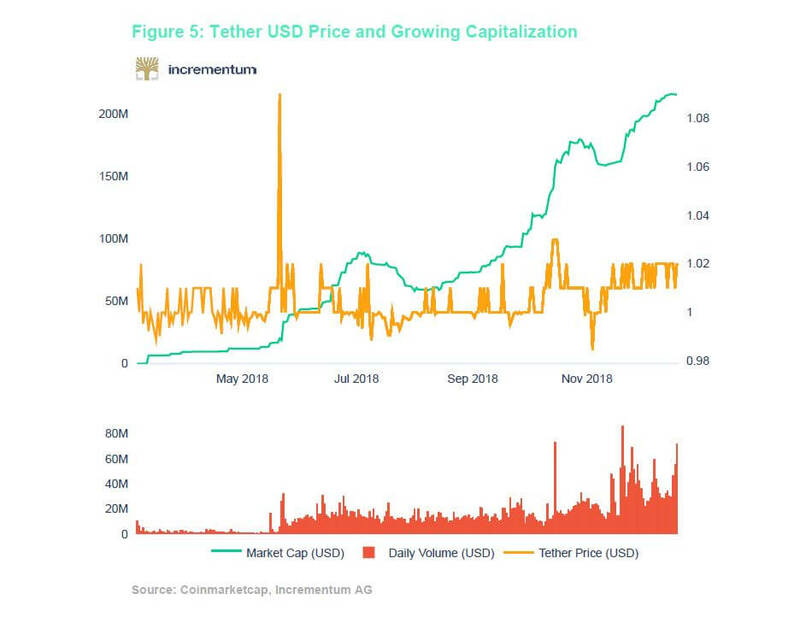 Of course, the controversies surrounding the original stablecoin Tether are not over. Even the US authorities are now investigating accusations that the backers of Tether and the Bitfinex stock exchange manipulated the Bitcoin price. While we consider it positive that the authorities have intervened here, it must be said that it is a drop in the ocean. Investors should be extremely careful with any form of information they obtain from the crypto-media and crypto-influencer environment. Three independent studies have shown that the media, so-called rating agencies, and individuals on social media and on YouTube are highly corrupt. The "Breaker" magazine wrote to 22 different crypto media companies from a fake address of an alleged Russian PR man. The result: more than half of the websites would have taken money for articles without marking them as "ads" or "sponsored". Some were even willing to simply adopt ready-made PR texts and pass them off as their own. The smallest websites took less than $300. The largest more than $3000. In any case, this study explains why there are so many miserably written texts on the Internet about relatively obscure coins. Advertising is subtle. Among the websites that take money for reports are some of the best-known names in the cryptosector. But to be fair: Around 10 of the websites contacted immediately rejected the offer. But news sites are just the tip of the iceberg. The covert advertising campaigns are often managed by so-called ICO agencies, which have price lists for various channels at hand. These agencies do not only take care of the marketing of a coin on the relevant websites, but also provide comments and traffic in the Telegram groups and other social networks. Many people who discuss cryptocoins or ICOs on YouTube are also paid for their service. 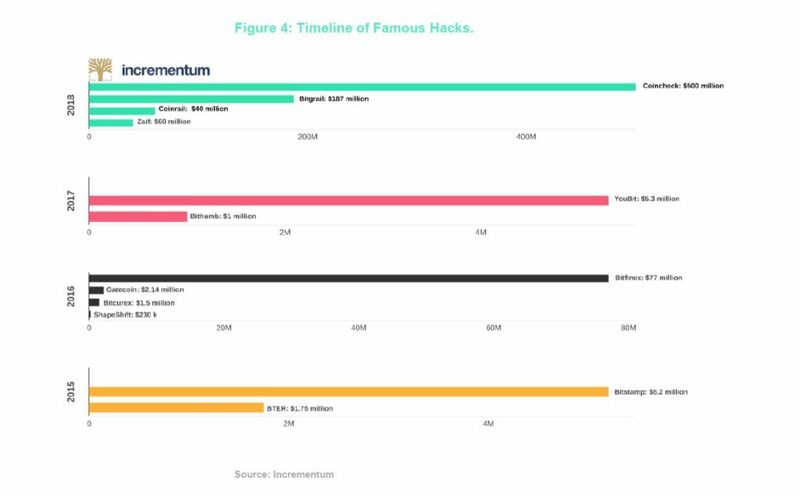 Research by Breaker, Techcrunch and Reuters paints a picture of a deeply corrupt industry at the heart of which is the hunt for money by ICOs. If the drop in prices and the SEC’s crackdown leads to this swamp being drained, then this should be welcomed. This is part of the development of the sector towards more professionalism. As far as mainstream acceptance is concerned, we no longer need to worry. Years after Bitcoin’s first appearance on "The Good Wife", a feature film with Kurt Russel is soon to come. The title is simply "Crypto". And shortly before this report went to press, this news came in: Electronics giant Samsung is supposedly working on a cryptowallet for their smartphones. If there is any truth to this, it would be another big step into the mainstream. And a confirmation of the old thesis: While prices are falling, true innovations are taking place.